MUMBAI: In a startling twist to the Sheena Bora murder case, her mother and key accused Indrani Mukerjea on Wednesday told a CBI court here that her husband Peter Mukerjea might have caused her daughter's disappearance out of "greed and ill-will". 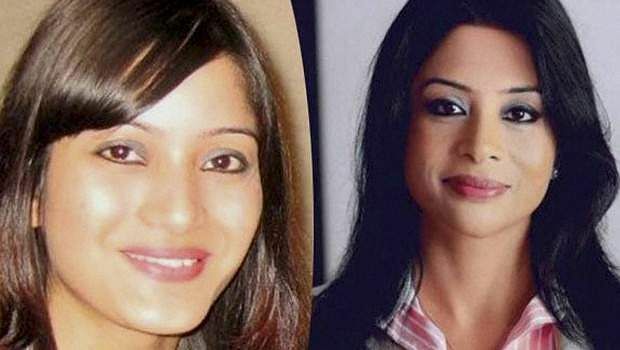 Though she did not expressly accuse Peter, a former media baron, of killing Sheena, Indrani said he and their former driver Shyamwar Rai could be behind her abduction, making her untraceable and destroying evidence. Indrani also alleged that Peter and others, might have manipulated the circumstances to frame her and influence witnesses and situations that led to her arrest. "I have strong reasons to believe that Peter Mukerjea, with the assistance of other persons, including (accused turned approver) Shyamwar Rai may have conspired and abducted my daughter Sheena in 2012 and made her untraceable and subsequently destroyed evidence," she said in an application in which she sought the call data record (CDR) of Peter. Indrani said she believes that Peter and others may have manipulated the circumstances to frame her and influence witnesses, situations and information that led to her arrest "for the heinous crime that they may have committed, aided and abetted". "I am convinced that if we are able to obtain the CDR of Peter, we will be in a better position to ascertain if Peter and other persons were involved in the disappearance of my daughter Sheena and there will be more clarity if Peter and other persons have a role in framing me," she said in the application. She sought the CDR for the period between January 2012 and December 2012, and from January 2015 to December 2015. "I offer my sincere gratitude to your honour for your kindness and endeavor to provide justice to my daughter, Sheena, who may have lost her life on account of greed, betrayal, jealousy, lust and ill-will of persons whom she dearly loved and trusted," she said in her application. Peter's lawyer Shrikant Shivde said that he will not comment on Indrani's application and will file appropriate reply in court. The alleged murder of Sheena Bora came to light in August, 2015 after Rai, arrested in another case, spilled the beans and Mumbai police arrested Indrani, her former husband Sanjeev Khanna, and Rai. Later, Peter Mukerjea was also arrested. The victim was Indrani's daughter from an earlier relationship. She was in a relationship with Peter's son.